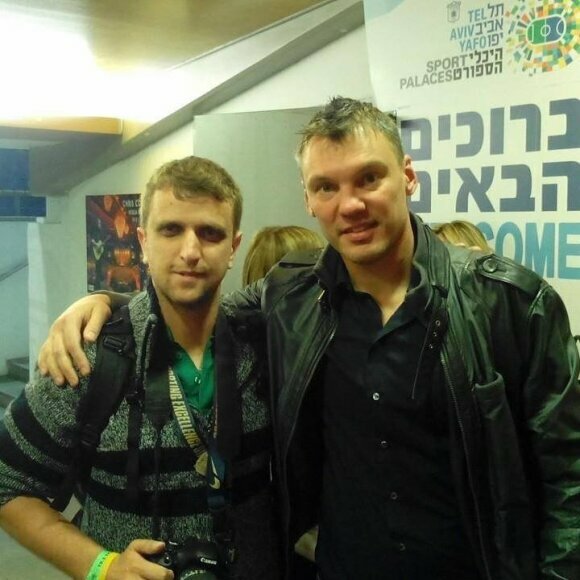 Maccabi Tel Aviv won yesterday at home against the Lithuanian champions Žalgiris in a close match 79:72. Jeremy Pargo paced Maccabi by 26 points while Artūras Milaknis with 19 points led Žalgiris. Žalgiris was always close to the Euroleague champs during the match, but it was not enough and the Lithuanians fell to 4-7 in the top 16 stage while for Maccabi the numbers are upside down: seven victories to four losses. Žalgiris opened the match with Lukas Lekavičius, Paulius Jankūnas, Robertas Javtokas, James Anderson and Edgaras Ulanovas. Maccabi’s five were Jeremy Pargo, Dvein Smith, Brian Randle, Alex Tyus, and Yogev Ohayon. Good minutes of Edgaras Ulanovis and his compatriot Robertas Javtokas gave Žalgiris a small advantage during the start. But the advantage did not hold long when Jeremy Pargo tied the score. Lenkavičius and Pargo took the advantage from each other, but at the end of the quarter with help from Alex Tyus the advantage was Maccabi’s 18:15. Songaila’s three points shot with two from Will Cherry gave 21:19 to the guests. Randle and Tyus with a one hand slam took Maccabi back to lead the game, but Cherry scored again in order to keep Žalgiris in the game. Lekavičius and Javtokas scored in the paint and closed the gap from Maccabi to 29-25 in the middle of the quarter. Milaknis stole a ball and with a fast break two points and with a three point shot closed the gap to 31-30. Alex Tyus with a high block on Lekavičius led easy two. Smith’s three point shot gave Maccabi its first double-digit lead, 43-32. Anderson managed to score more two to Žalgiris before the half time in Tel Aviv. Žalgiris went to rest when the scoreboard shows 43-34 to the home team. Maccabi also won the quarter 25-19. Milaknis and Lekavičius scored three points each while Anderson adding two to close the gap to 45-42. Tyus answered with a dunk, but Robertas Javtokas and Paulius Jankunas kept Žalgiris in the match and brought the gap to one point advantage to Maccabi. 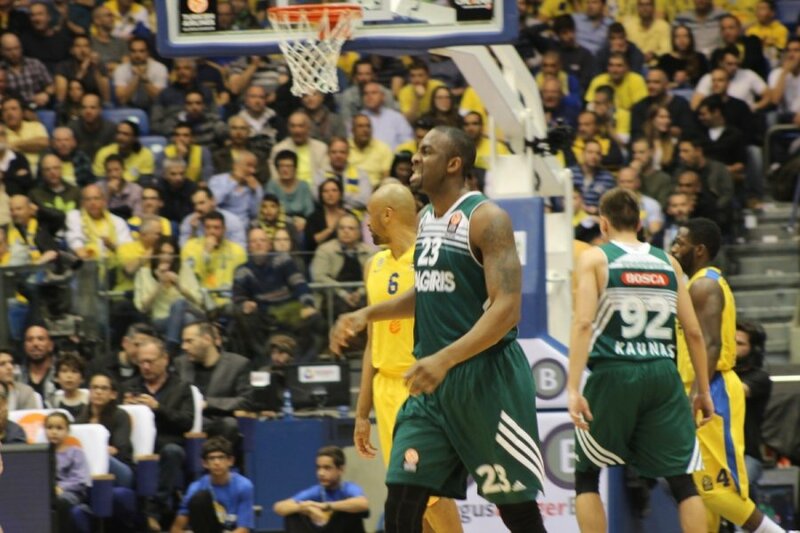 Smith and Pargo continued to score for Maccabi while Milaknis continued to shoot three point shots. Sofoklis Schortsanitis scored his first points in the match and added two free throws to give a double figures advantage to the home team. Anderson shot three points from downtown for Žalgiris, but Pargo reacted with three of his own. Schortsanitis scored and claimed 55-54 to Maccabi. In the quarter, Maccabo scored 23 points to 20 from the guests. “We got a very important win today, not easy one against a team that came to win. Our performance in the match was far from our best. I think that we gave a lot of chances on defense. The fourth quarter was not good for us offensively. But also these are the sort of games that we need to play and to get a victory. Of course, I would like to improve our game because we will have more difficult matches. But now we need one victory to get to the playoffs. But if we want to get to where we want to, we need all the players to be focused. I know we can play better and we have a lot of work to do." The next match for the Lithuanians will be crucial against Barcelona, Real Madrid and the Red Star Belgrade. The first two will be a big challenge, even in Žalgirio Arena, but with the crowd support everything is possible.